Frogwoman in full face mask (and in trouble)! Today I got 2 scenes from one movie! In the 1st scene our frogwoman in a full face mask explores a wreck with two other divers! 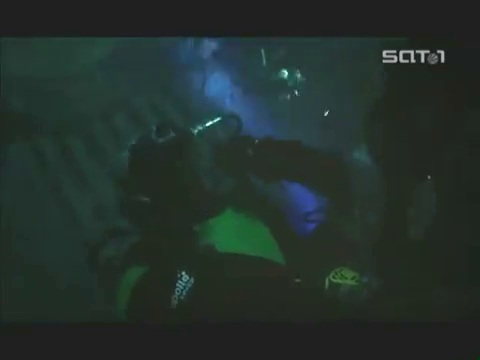 The 2nd scene includes a fight with a male diver! *EDIT*: I found out the title of the movie, and linked better quality videos! Good stuff! And rare stuff…. 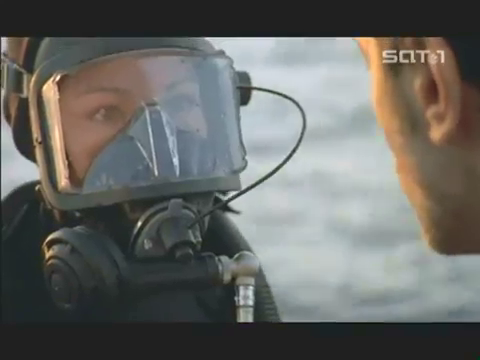 a female diver with full face mask in an underwater fight!